Is your cold-weather wardrobe ready? Of course, you might be snickering right now if you live in California, where it’s just getting breezy. But wait, what about that trip to more northern reaches – or the mountains? For frigid temperatures, a girl needs to be prepared. 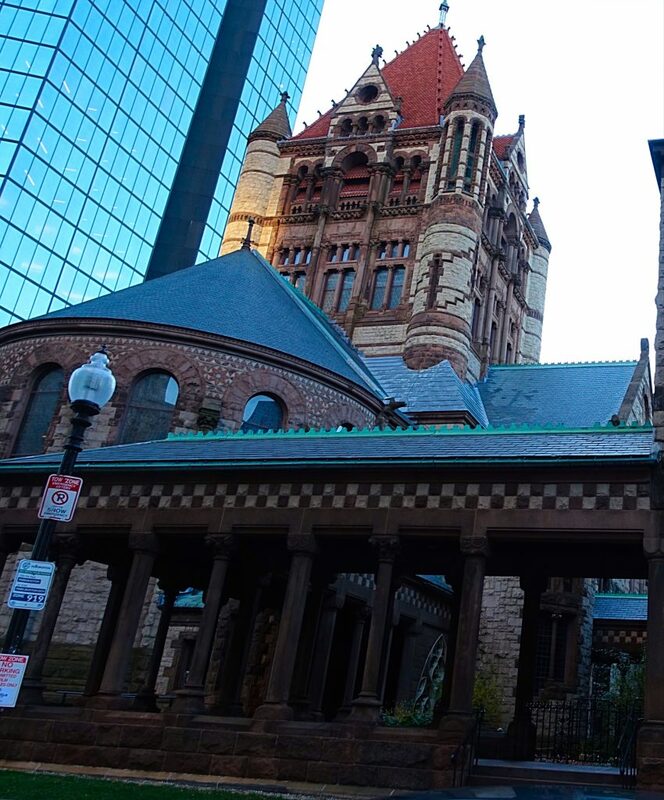 That’s why I want to share 3 great cold-weather style tips I gathered on my recent trip to Boston – where people really KNOW cold weather! 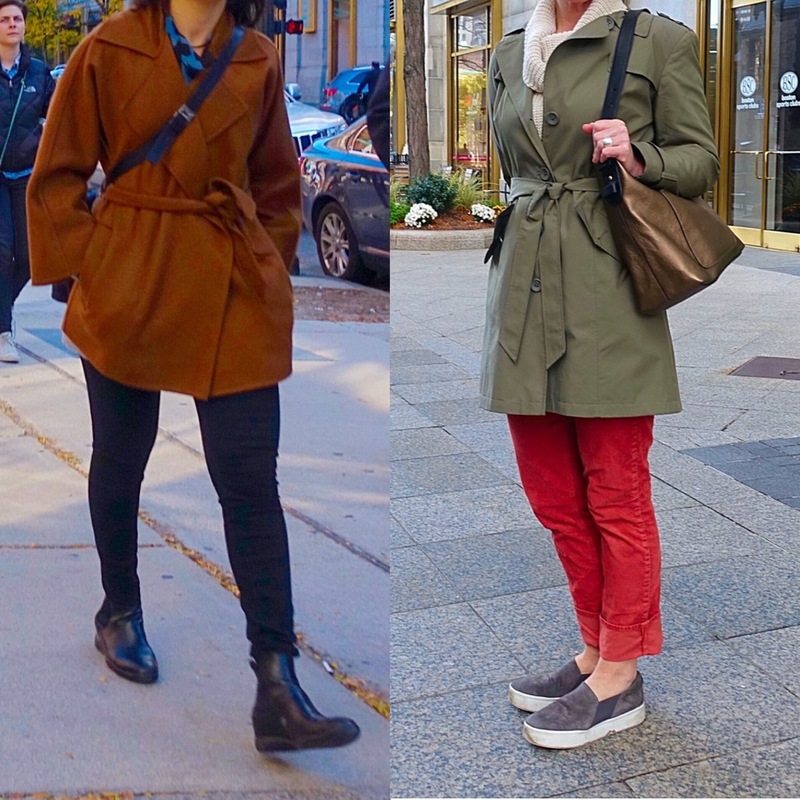 I enjoy featuring Boston as an example of cold-weather dressing, by the way, because it’s totally in line with our focus at the STYLetti: real people with real style. Walking down Newbury Street, one of the city’s more fashionable and fun places for coffee, dining out, or shopping, you aren’t likely to see much peacocking. 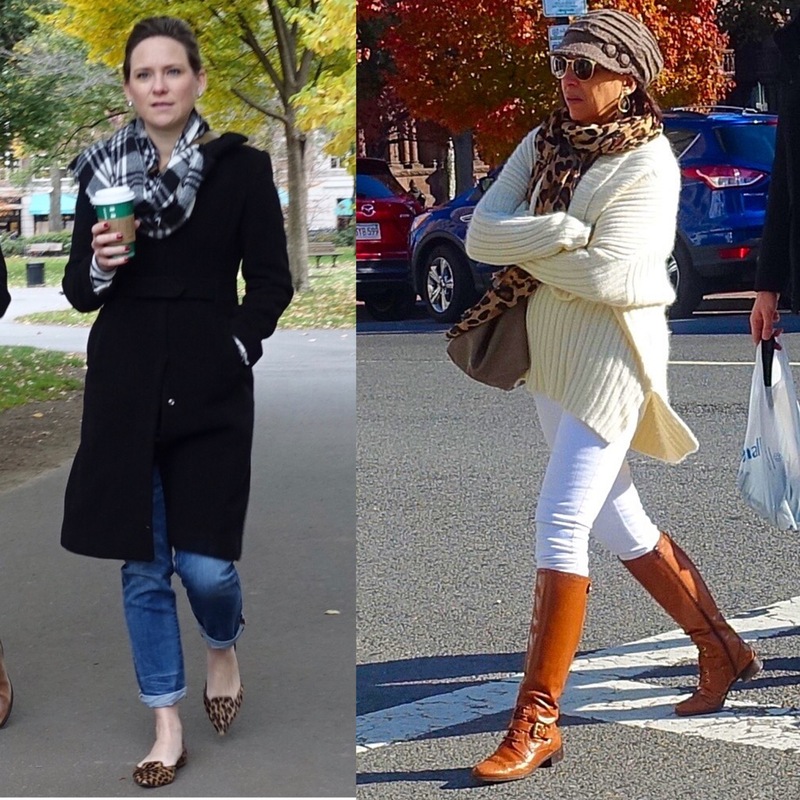 You’ll probably see a lot more practical-minded women dressed in skinny jeans, booties, sweaters, and coats. But even the students from nearby Harvard and MIT (choosing to spend Saturday morning on Newbury Street) dress in stylish variations on the theme. Notice how how much more fun a pair of purple velvet booties make the outfit? 1) A belt helps enormously with color-blocking. Even when layering like crazy, you can go with seasonal colors instead of all dark. And there’s a special trick to make colorful looks work much better. 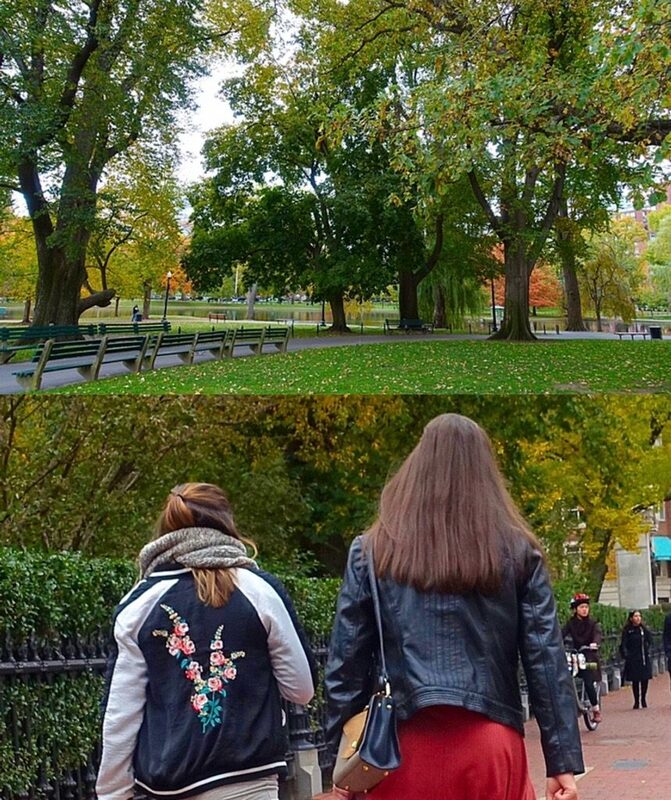 More than a few people are dressing in the hues of gorgeous Boston Public Garden. With a belted A-line coat, you don’t have to worry as much about color-blocking your silhouette in half. Yes, when your top half is one color and the bottom half is another, it can lead to a visual widening effect. But cinching at the waist creates a very flattering shape. 2) Never underestimate the power of an interesting patterned scarf. It can be a huge cold-weather style booster, as is a leopard-print ANYTHING! I even love how leopard print looks with colors like bright red (shown on our first muse above). A belted coat with a cool scarf lined with tiny pom poms is doubly awesome! I love that in colder weather, we can play even more with textures (since we tend to wear more layers). The softness of this knit scarf, jacket, and suede booties give it an ultra cozy vibe. 3) A bulky sweater need not give you a sausage silhouette. Tucking in just the front is almost as flattering as a cinched waistline, because it creates slimming diagonal lines mid-body. Holding onto your BFF is another way to keep warm! Sure, there are picture perfect outfits for fall like this one in the Georgio Armani window on Newbury Street. But sometimes we don’t want to put in that much effort to an outfit in which we just want to step out for an hour or two and then head back home to some hot tea and a good book. We want to exert minimal effort to bundle up while still looking chic. Hope you are inspired by these little style tips I gathered by observing cold-weather pros on their Saturday morning. Might you have another for chic bundling? Thank you for the tips, dearie!